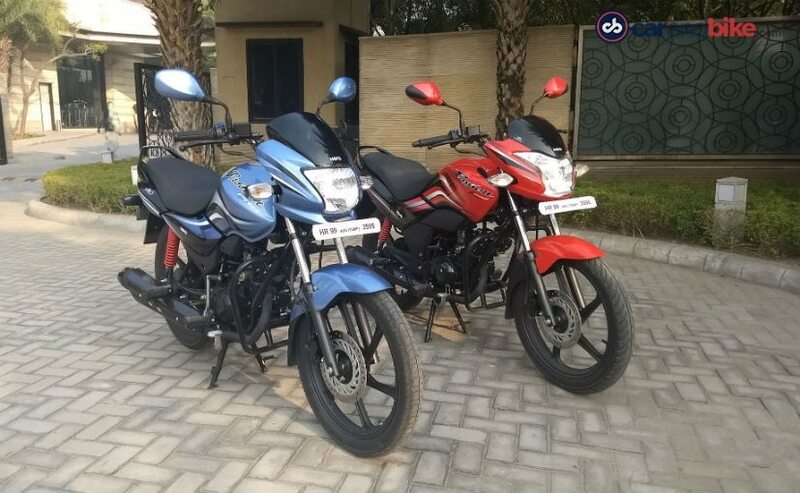 Along with the 2018 Hero Super Splendor, Hero MotoCorp also unveiled the 2018 models of the Hero Passion Pro and the Hero Passion XPro recently. Now, apart from the Splendor if there is any other motorcycle model which sells almost as much, it is the Hero Passion. 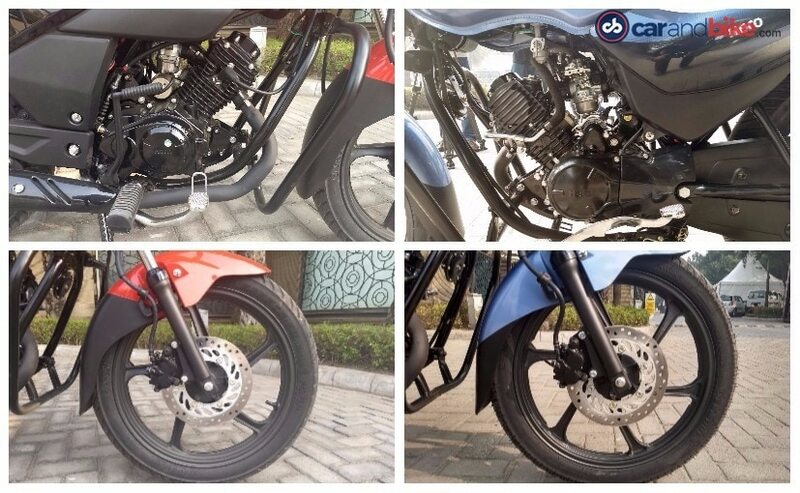 And keeping that in mind, Hero decided to give a nip and tuck to one of its highest selling motorcycle models. As was the case with the Super Splendor, we were able to ride the Passion Pro and the Passion XPro very briefly and here is how we felt about the bike. Read on! New colours and a new engine is what the Passion Twins get. Both motorcycles have the new 110 cc motor that makes 9.3 bhp at 7,500 rpm and peak torque of 9 Nm at 5,500 rpm with a 4-speed gearbox. Apart from these, the bikes remain more or less the same. 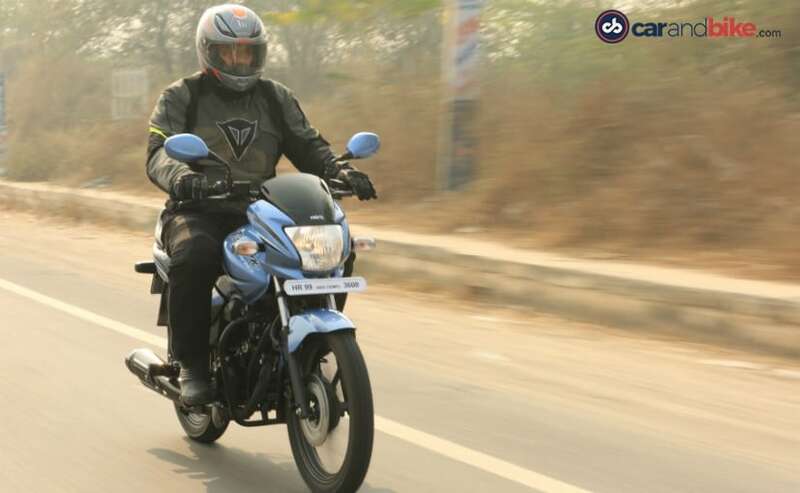 The new engine makes 12 per cent more power and torque than the previous model and allows the bikes to do the 0-60 kmph sprint in 7.45 seconds, which is a good time for 110 cc commuter bike. How is the Passion XPro different from the Passion Pro? 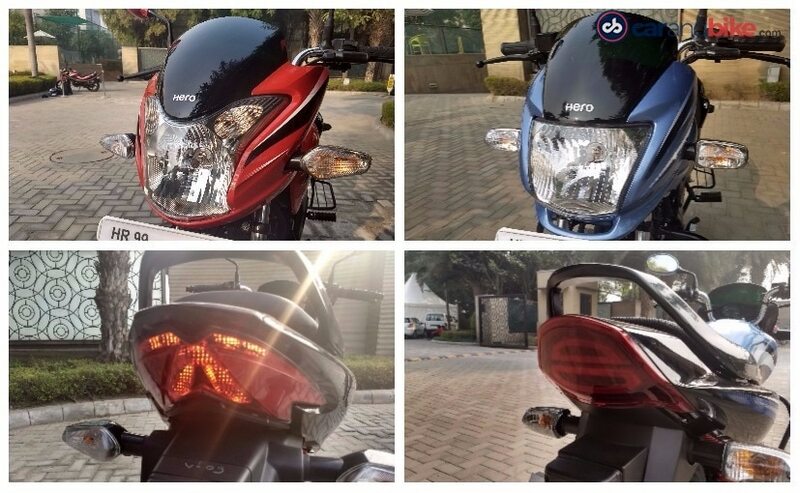 Visually, the Passion XPro and the Passion Pro have different headlamps, tail lamps and fuel tanks. These are the only visual differences. But there are few changes under the skin as well. The Passion XPro has slightly different dimensions than the Passion Pro. The difference in length and the wheelbase is due to the fact that the Passion XPro has a longer swingarm than the Passion Pro. Lastly, the XPro gets tubeless tyres while the Pro does not. 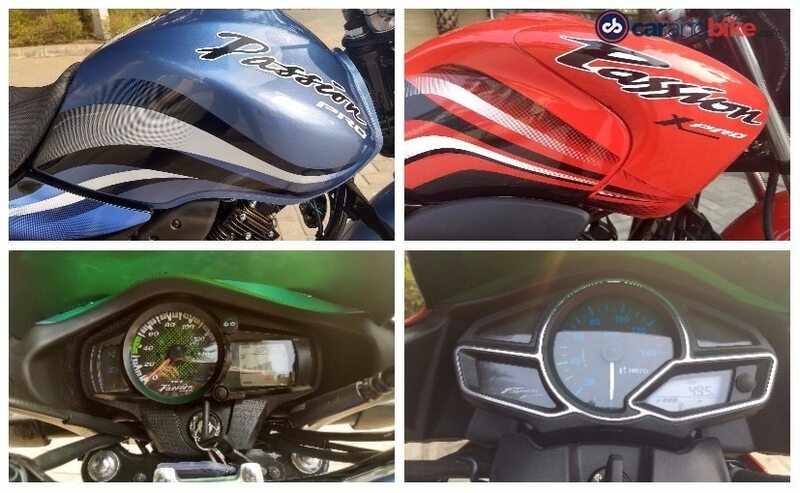 These sum up the differences between the two Passion motorcycles. What features do the Passion twins get? 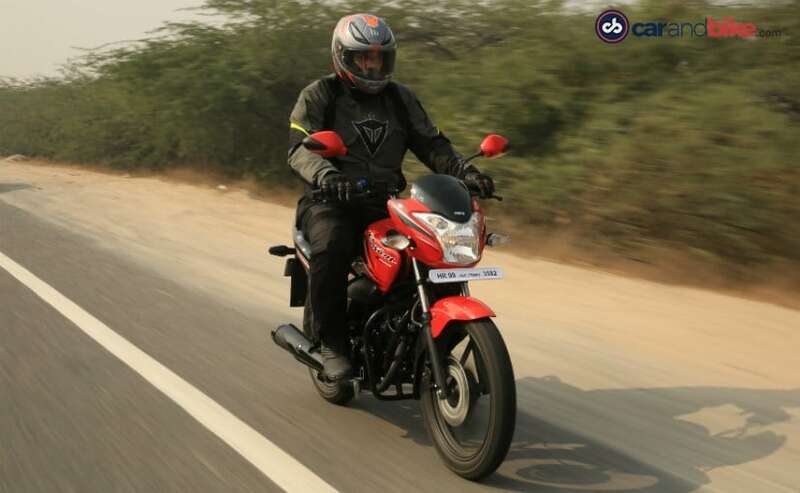 To begin with, both bikes get Idle Start Stop system (i3S), side-stand indicator, LED tail lamps, auto-headlamp on (AHO) and a digi-analogue fuel gauge. Optionally, you can also ask the dealer to fit the bike with a mobile phone charger as well. What about the performance and the ride? Since we got the numbers out of the way a couple of paragraphs ago, we can say that 110 cc engine is suited for doing city speeds (40 kmph-60 kmph). Anything more and you will be pushing the bike and you wouldn’t like the vibrations from the footpegs and the handlebars. Scrumming through the gears is not much of a task with the motions being smooth. As far as the braking is concerned, the 240 mm disc brake works very well and even though it is optional, we are glad that it is an option. There is enough bite from the brakes and well, drum brakes are out of fashion! Now we rode the XPro and the Pro back to back and could immediately tell that the Pro had a slightly softer suspension setup than the XPro. We can only guess that the trade-off was because Hero wanted both Passion models to have slightly different riding characteristics. 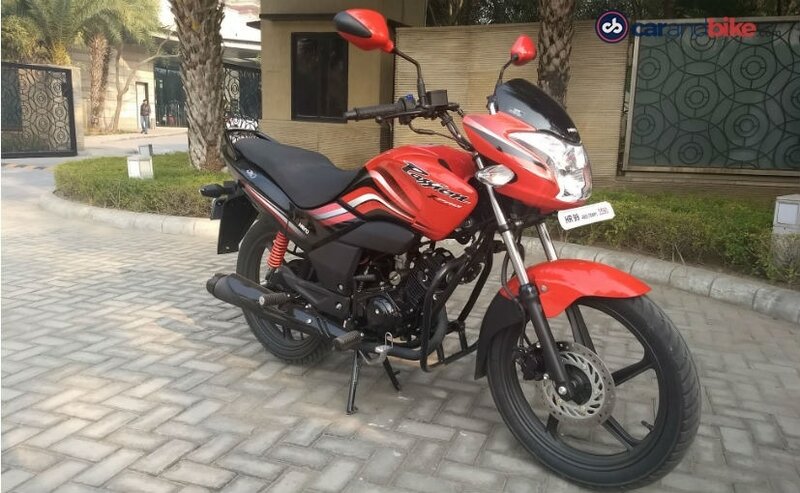 The Passion Pro would sell more in the rural markets, which will have more of bad roads while the better looking XPro will have more takers in urban markets with better road and hence Hero trying to give a sportier ride quality to the XPro. Like the Super Splendor, the Passion Twins too feel solid and can be used as a daily ride for a number of years. Both motorcycles, the Passion Pro and the Passion XPro are intended to be daily commuters and are built well for the job. The bikes are decently specced for the purpose but could have had better refinement. The Passion Pro here is the lesser twin, with lesser weight, is less flashy and in all probability, will be priced lesser than the Passion XPro as well. If I were a buyer looking between the Pro and the XPro, I would probably pick the XPro. It is as practical as the Passion Pro and looks a tad better and sportier. Overall, both bikes should do well as they have done for Hero in the past.